Whether you're questing for a custom student or if you've just gotten a pre-made character from TiH, you need one of these forms! - If you are questing, please fill out the appropriate form and post it in the Halloween Subspace forum. For more information on questing in TiH, go here! - If you have a pre-made character - you've won a character and have official TiH student art for that character already - please fill out the appropriate form and post it in the Halloween Subspace forum. Then follow the steps listed here! If you need help filling out this form, or if some things listed here don't make sense to you, go here for help! Please also fill this form out in THIRD PERSON thank you! If you need help filling out this form, or if some things listed here don't make sense to you, go here for help! Please also fill this form out in THIRD PERSON thank you! 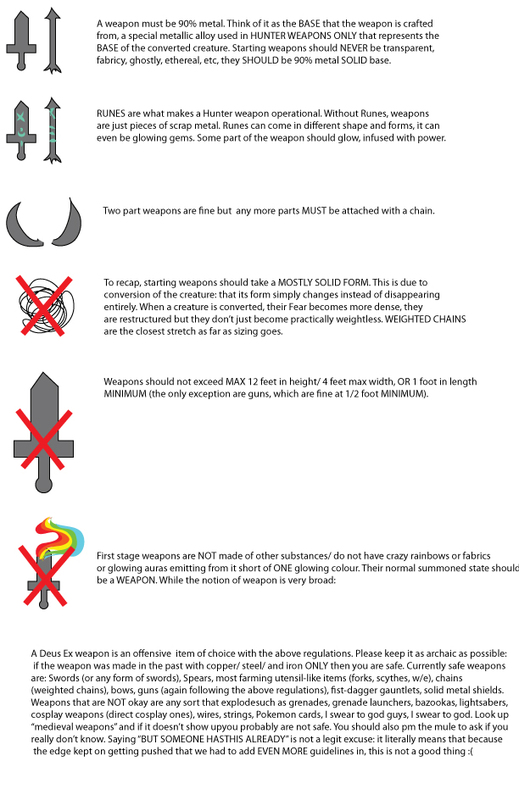 Please refer to this coat guide and this weapon guide! Moon & Sun - Does the 'hands on' operations, more tied to execution of missions, attacking, assaulting, defense, repair, and guarding work. Moon is related more to repair/rescue and defense while sun is related more to offense. Death - The "intelligence" operation, in charge of gathering information and maintaining the network of Hunters. They gather the information prior to a mission. 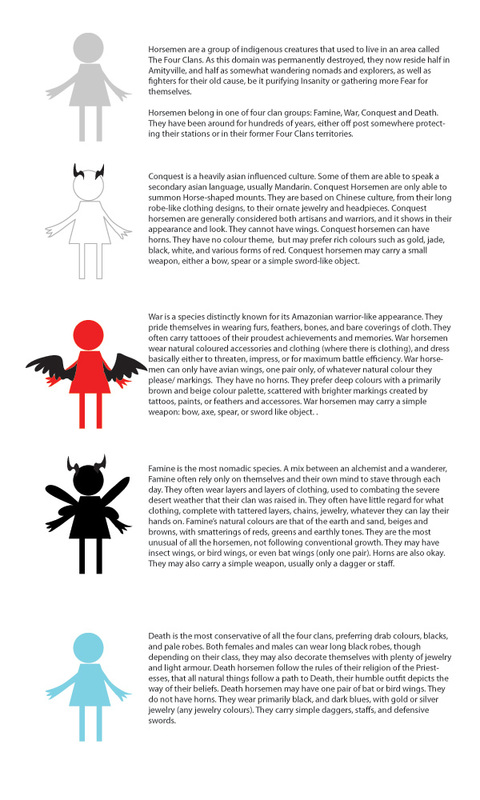 Life - Related to "research", including research specifically OF Halloween, its specimens, and ultimately Fear and the abilities of Fear and Hunters. Mist - The group that does not have one specified role but fills in for everyone. A jack of all trades master of none group, they are usually asked to take missions from all four categories, but as a result do not get "specialized field" missions. (If your character participated in the original Hunter metaplot, then you've already written a solo that explains their reasons! Just link to that with a brief (2-3 lines, max) summary. (A charged weapon can deliver a powerful attack in battle! This charged attack is like a limit break or other unique power, and is the Hunter equivalent of a student's FEAR ability. If you need help filling out this form, or if some things listed here don't make sense to you, go here for help! Please also fill this form out in THIRD PERSON thank you! 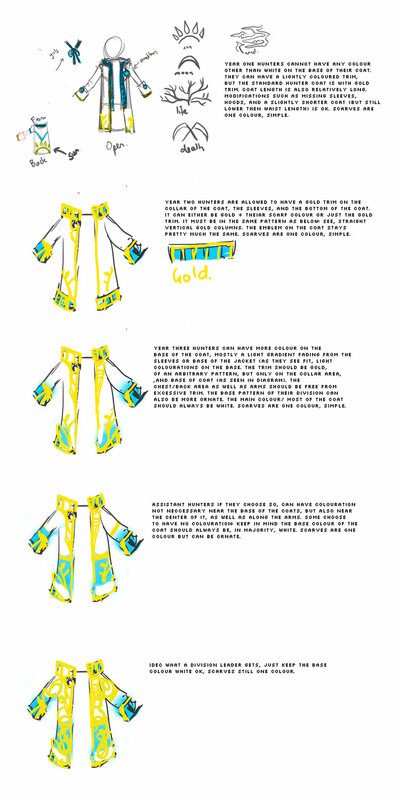 Please refer to this outfit guide for horsemen! [b]Personality:[/b] Let us know about your horsemen, the reactions they had to their world being destroyed, and their goal now, as part of the new clan, to rebuild, what exactly they are looking for/ what sort of feelings /how they might identify themselves now. [ Death ] - Pale horse/ ghost-like or shadowy creatures with no solid or discernible form. Weapons Summoning ]: All horsemen are able to summon a small weapon, a projection of their own Fear, similar to how Reapers are able to summon a weapon. Their weapons have very specific themes however, and are usually very simple starting off. Only Heirs have extremely ornate or powerful weapons. Horsemen are as powerful with a weapon as they are without, but many clans prefer to use weapons to attack. Horsemen only get one natural ability, while Heirs may have more than one. [ War] : Summon a SIMPLE bladed weapon, has to be dagger OR short sword shaped. [ Conquest ]: Summon a SIMPLE long ranged weapon, has to be bow OR short spear shaped. [ Death ] : Summon a SIMPLE curved weapon, has to be sickle OR scimitar shaped. [ Famine ] : Summon a SIMPLE extended weapon, has to be chained OR weighted.